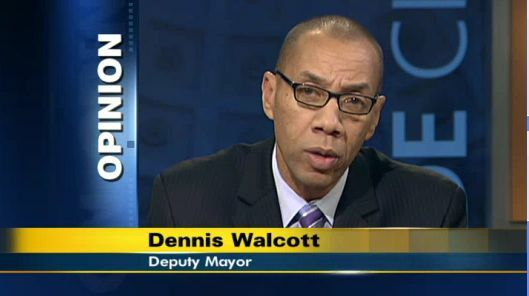 Newly christened chancellor Dennis Walcott is very smart. He thinks on his feet and speaks very well. He is comfortable before the press and speaking to community members. He's certainly better equipped for the job of chancellor than his immediate predecessor, a preposterous figure. Walcott will not make idiotic utterances about using birth control to control overcrowding, as both Black and Klein did. You won't see him making juvenile noises at PEP meetings. He's a seasoned politician, and not prone to blatant stupidity. In fact, for Mayor Bloomberg, he's a huge improvement over both Black and Klein. I know you're waiting for a "but." Here it is--Walcott is wedded to Mayor4Life's policies, which are abysmal failures. He's been with Joel Klein every step of the way, from school closings, to favored charter schools, to leaving children freezing at bus stops, to spending hundreds of millions on computer systems that don't work, to fraudulent test scores, to taking hundreds of millions to reduce class sizes that ended up higher, to now, where financial genius Michael Bloomberg determines a 3.1 billion dollar surplus is a financial emergency so dire that we need to get rid of almost ten percent of working teachers. Walcott will look better, but represents more of the same. I was at a UFT rally in Queens yesterday, where State Senator Tony Avella suggested the only solution was a mayoral recall. The crowd went wild, and shouts of "Recall, Recall," punctuated the speeches of every speaker that followed, including that of UFT President Michael Mulgrew. Not a bad idea at all. Is it viable?